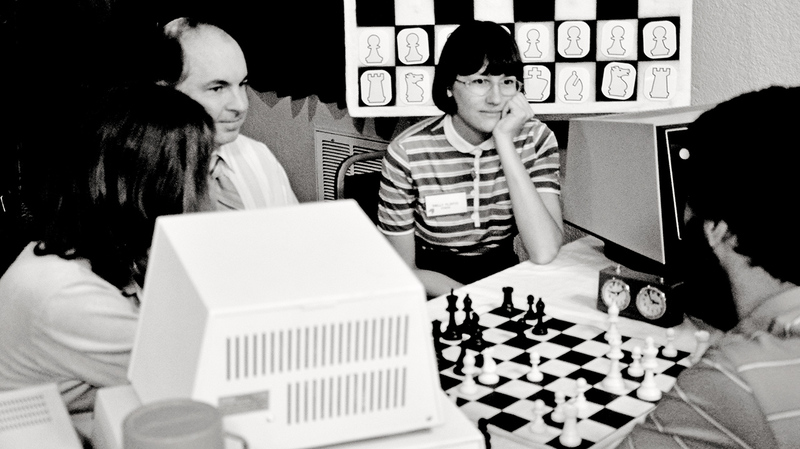 03.18.16 Guest speaker Dr. Clare Bates Congdon of Bowdoin College will present an introductory talk on "Artificial Intelligence, Machine Learning, and Computer Games," which will be followed by the screening of the 1980 film Computer Chess at the Railroad Square Cinema in Waterville on Tuesday, March 22, 2016. Thanks to Phil Lowell for contributing to this report. Computer Chess: A National Evening of Science on Screen event! Railroad Square Cinema, Waterville, Tuesday, March 22, 7:00 p.m. Guest speaker: Dr. Clare Bates Congdon of Bowdoin College will present an introductory talk on "Artificial Intelligence, Machine Learning, and Computer Games," which will be followed by the film screening. You can view the film trailer and get more information at the Railroad Square Cinema website.